pressure truck, winch ,picker ,pilot truck, hot shot, rentals & trucking. Oil & Gas, Oilfield Services. Rock Solid has a fleet of pickers, winch trucks and tractor units. We specialize in pickers, ranging from small crew trucks with 2t knuckles, medium sized knuckles and up to 50ton stiff booms. Jibs that allow us to reach 110’ are available, as well as certified spreader bars and manbaskets. Rock Solid also has a fleet of 20 to 40 ton winch trucks. 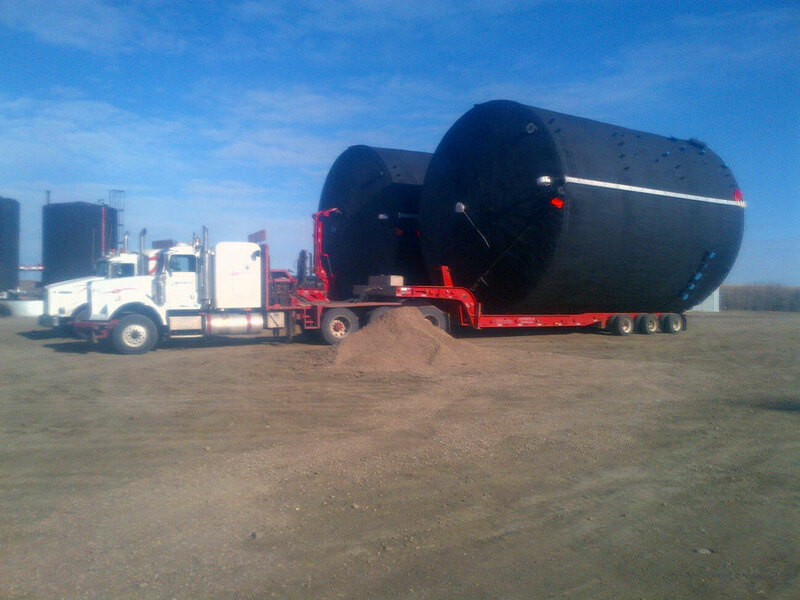 Two tank cradles keep us busy hauling and setting tanks. We can provide large scale and large tank moves. 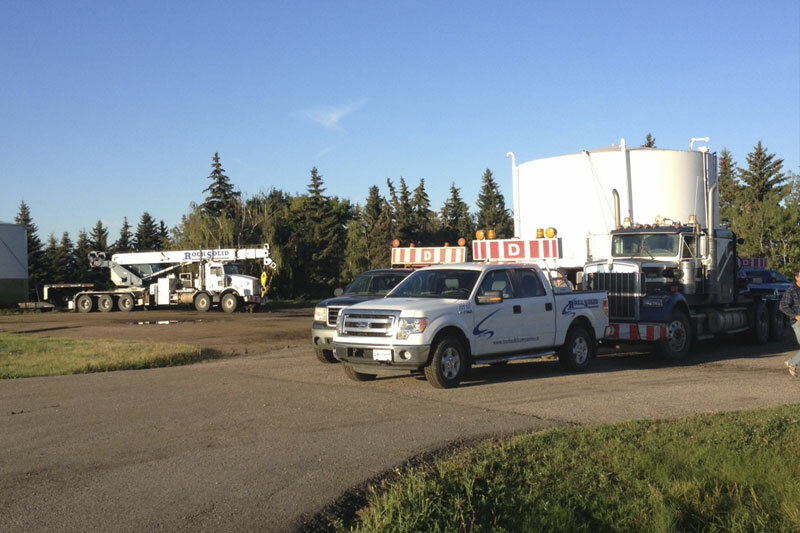 We have the ability and history to move all your heavy loads down the road. We can look after the permitting, road closures, power lines. And piloting to ensure your load gets to the required location. In road ban season, Rock Solid also has a 40 wheeler with booster and jeep to move your Service rig or heavy equipment.